We are origin from Taiwan and established since 2002. In Taiwan we name as「壹咖啡」 ,we provided variety of blended drinks and parity products(coffee, tea, cake & coffee bean). We are the most popular coffee shop franchise in Taiwan. 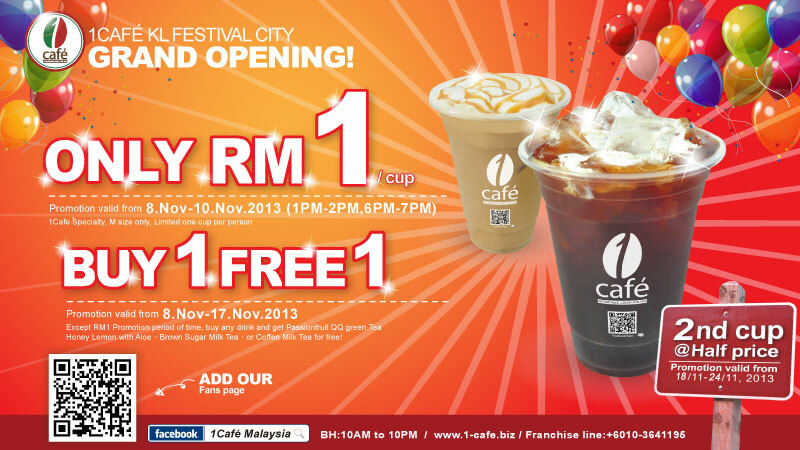 From now on, 1Café KL Festival City coming soon, we sincerely invite you to enjoy it with us, and the 「Opening promotion」 will be held in 8-17 Nov,2013.